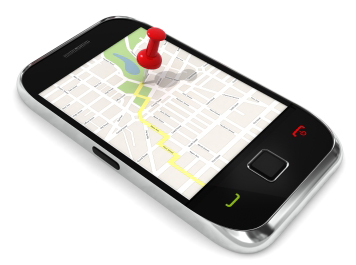 The platform which is synonym to Location Based Marketing Solutions is the Mobile Platform. Taking Indian market into perspective for Location based services, I was analyzing how can we define the market for the scope of these services. As an observer to this industry, I see it from two sides:- Consumers & Retailers. Lets see from Consumers' side, Smart phones have become all in one digital tool like a Swiss Army Knife. According to Google report, an average consumer spends two hrs a day on a Smart phone. It is surprised to notice that making a call is the fifth most used activity on a Smartphone after browsing the internet (50% of searches on the mobile are local searches and the trend is continuously moving upwards), checking mails, playing games and listening to music. The total number of Smartphone Users in India in 2012 is around 27 million. The growth and acceptance of Smart phones in India is tremendous in the last few years and is expected to reach 100 million in India in 2015. The reason behind this phenomenon is the phenomenal growth of local handset makers and decrease in the prices of smart phones on the whole.As per study conducted by Google India, 36% of all smartphone owners in India are in the(18-29) age group. The growth of Smart phones will certainly add a new dimension to LBS. There are certain characteristics of smart phones that are very relevant – Smart phones are always on; internet access; Nearer to consumer & the frequency of usage is high. The viability of LBS seems to add value to both marketers as well as Sales. Like any other marketing solution, it is not independent and depends on the gadgets for its effective use. I have a very stronger opinion that the efficient use of LBS is to reduce uncertainty in the areas where there is a scope of asymmetric information.The greatest use where LBS can be put into is in the elimination of difference in services, quality and prices as far as local arbitrage is concerned. For instance, if you are planning to buy an article (Commodity or otherwise) and if you can gauge the difference in quality and services in the real time from place to place by getting updated information and real time feedback; it can add real value to both retailers as well as marketers. Let's see from retailers' side, Marketing follows the way of Consumers. Consumers spend most of their time on gadgets such as mobiles, tablets and this gives an opportunity for marketers to market their products. As a small retailer with limited resources and no marketing budget, location based marketing can offer ample opportunities to increase footfalls and consequently sales. To illustrate my logic, let us take an example of a mobile application- Delight Circle and what is its value proposition to both retailers and consumers. As an Associate, I have worked on a mobile application- Delight Circle http://delightcircle.com/. This is a location based application and scope of its services are available in all the major cities of India. Objectives:- Make Shopping delightful and rewarding, Enhance Consumer interaction & engagement with brands and stores. Strategy: - Provide Marketing and Advertising Solutions by using “Location Based Services” in a Mobile Platform. a) Get instant updates (Zero Cost) on best deals and offers on your mobile from top retailers and brands customized to your location and preferences. b) Get ‘Delight points’ by visiting your favorite stores and redeem points with real gifts without any hassle. c) Maintain Loyalty Cards in one place- Mobile Application (Delight Circle) and extract maximum benefits. d) Real time information, recommendations & tips on products, promotional schemes and offers. a) Launch a Card-less Loyalty Management Program. b) Mobile Coupons:- An easy way to sell outdated stocks & encourage iterative visits. c) Detailed Consumer Analytic Report:- Target Consumers based on frequency, time of visit, purchase behavior etc.